Light Sport Aircraft – Horsham Flying Club Inc. Flight training for light sport aircraft pilots is provided by RAAus endorsed instructors. Horsham Flying Club is fortunate in having the services of ‘Airwego’ a flight training organization based on Horsham Aerodrome. 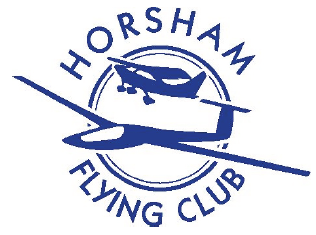 It should be noted by prospective trainee pilots that you must be a member of the Horsham Flying Club to receive flight instruction in the clubs Jabiru light sport aircraft. You do not have to be a club member to receive a trial instructional flight in the club aircraft. You must be a member of Recreational Aircraft Australia to fly any Ultralight or light sport aircraft. Membership of the RAAus costs $210.00 per year, includes a monthly magazine, Student Pilot Certificate and a copy of the RAAus Operations Manual. The minimum age to learn is 15 years. There is no maximum age. Students under the age of 18 must have written consent from a parent or guardian. MINIMUM of 20 hours for Restricted Pilot Certificate. A further 10 hours is required for a Cross-Country Endorsement . 5 Hours minimum for General Aviation to Ultralight conversion. 5 Hours minimum for Gliding Certificate to Ultralight conversion. Airwego is a Horsham based company which began operating at Horsham Aerodrome in 2006. Airwego’s Chief Flying Instructor is Peter Weissenfeld. Airwego charges $210.00 per hour for training in the clubs Jabiru. Non-Training solo flights in the clubs Jabiru are at club rates.